The Royal Gorge Region is a large, outdoor paradise with dozens of trails in all directions to suit any need. Whether you enjoy four-wheeling, biking, horseback riding or hiking, the Royal Gorge Region has you covered. 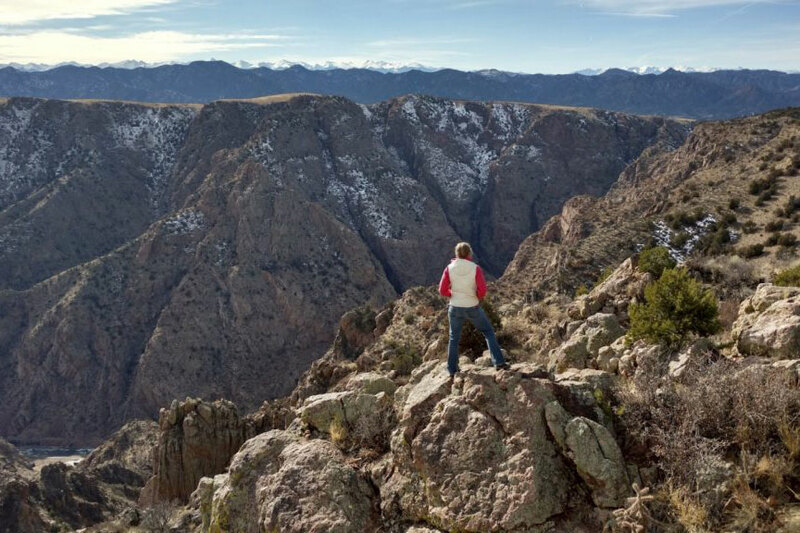 The Royal Gorge Rim Trail is the ideal place to start your Royal Gorge Park adventure. It’s an easy 3.17-mile loop trail with only 115 feet in elevation gain. At about 1.9 miles, a spur follows the Royal Gorge Rim to an overlook that provides excellent views of the canyon and river below. Ten miles north of Cañon City is Red Canyon Park, a 600-acre wonderland. It has several easy trails as well as some slightly more-difficult trails that take you through amazing red-rock formations and vertical spires. Just 6 miles north of Cañon City is Garden Park, a famous geological area. Here, an easy trail winds through an excavation site, where many different species of dinosaurs have been found. This is an 8-mile-long trail located at the Alvarado Campground. It’s a local favorite and leads to a gorgeous, grassy basin. Oil Well Flats is one of the most extensive trail systems in the Royal Gorge Region, and while its dirt roads and singletrack have been touted as a mountain-biker’s paradise, its trails are also ideal for hiking. Within this system, Fire Canyon Trail to Island in the Sky is a great way to get a sense of what Oil Well Flats is all about. 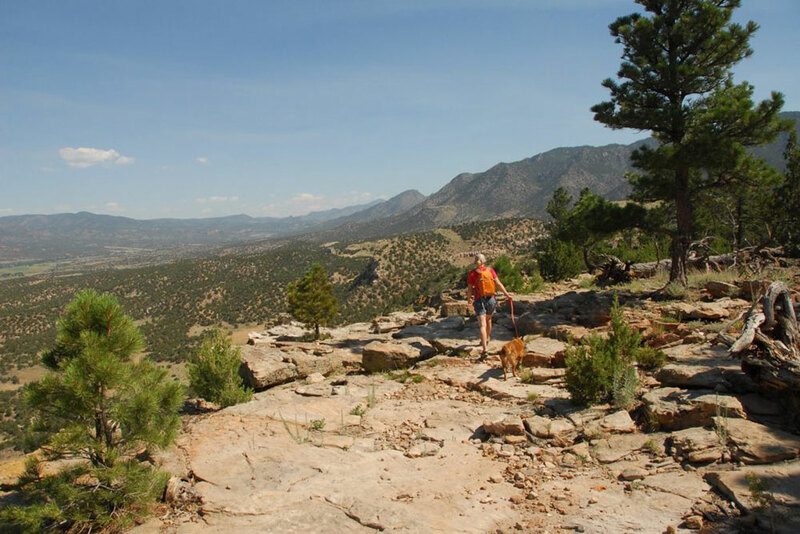 The South Cañon Trail System offers 10 miles of trails that connect the Arkansas Riverwalk, Temple Canyon Park, the Section 13 trail system, Grape Creek and thousands of acres of BLM-managed public land. Redemption Trail, in particular, offers a mini slot canyon where you can spot dinosaur footprints toward the top. Hogbacks Open Space is Cañon City’s in-town geologic wonder. Your experience here will treat you to the beautiful Dakota Ridge Hogback Formation. Within all the layers of the Dakota Hogback formation lie significant fossil resources, including a record of Colorado’s past as an inland sea! Though the Dakota Trail is for the more advanced hiker, it is worth the trip. Hike through junipers and piñons atop the crest of the Dakota Ridge formation. On the north end, prepare yourself for a descent down steep bedrock. This moderate-to-difficult trail is located 10 miles south of Cañon City off Temple Canyon Road. It follows Grape Creek, which flows through the bottom of Temple Canyon to the “Temple,” a natural rock formation that is said to be haunted. Please note that this trail involves crossing a creek that has no bridge, which means it would be dangerous to do during mid- to high-water levels (typically late May through mid-July). Get your blood pumping on this steep trek that takes you to Stout Creek Falls, often considered one of Colorado’s most stunning waterfalls.